Aguablanca e.V. 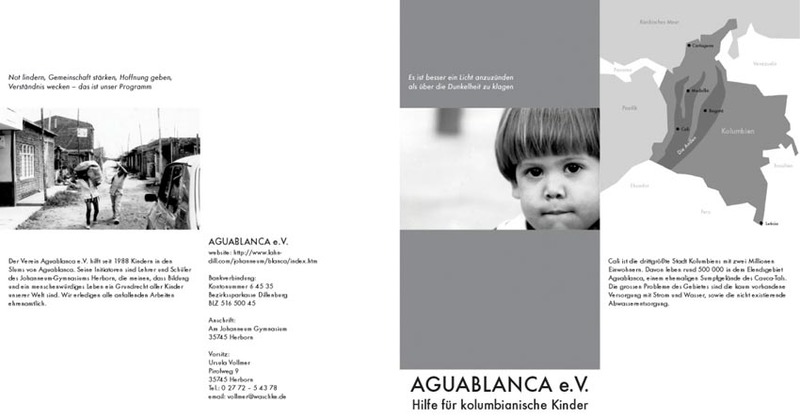 is a charity founded by teachers of the Johanneum Gymnasium in Herborn, Germany, that aids children in the slum Aguablanca in the Columbian city Cali. For their 15th anniversary I designed a new leaflet. 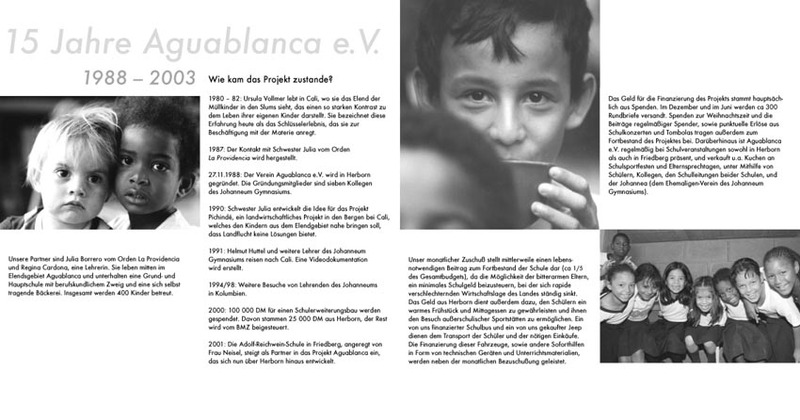 Below are the front of the folded leaflet, and the two sites as spreads.The format is 21 x 40 cm, or 21 x 10 cm when folded; the typeface is Futura. More information about the organisation can be found here.